Conveniently located near the Boise Airport and only 1 mile from Boise State University, Red Lion Hotel Boise Downtowner serves as the ideal vacation for corporate guests, holiday travelers, and BSU family and alumni. As one of the few hotels in Downtown Boise to offer full-service lodging, we pride ourselves on providing excellent customer service. 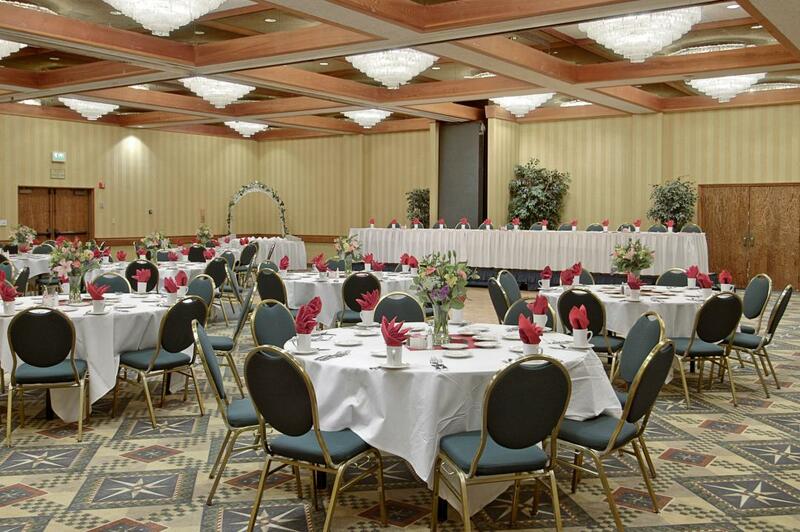 With 8,425 square feet of deluxe meeting and event space in downtown Boise, Red Lion is also a great place to host wedding receptions. Whether a corporate meeting or special celebration, our professional event planners and caterers will make sure you and your guests enjoy a successful event. Red Lion Hotel Boise Downtowner is a full-service Downtown Boise hotel, just minutes from Boise State University. Whether you're planning a family vacation, a long overdue romantic weekend, or conducting business in the Boise area, enjoy our spacious Boise lodging with our convenient amenities, including our signature breakfast, two on-site restaurants, complimentary airport transportation, 8,425 square feet of event space, and much more. If you're arriving to our Downtown Boise hotel by car, take advantage of our complimentary self-parking and all the fun sites and attractions Boise has to offer. Whitewater raft the Boise River or shop the quaint shops of Eighth Street Marketplace, then return to the relaxing amenities of our full-service hotel, conveniently located in the heart of Boise's vibrant downtown district. To make your travel experience easy and stress-free, even before you check in, make use of our complimentary airport shuttle service to our Boise downtown hotel. Enjoy peace of mind after you've deplaned and make your way to our hotel near Boise airport in comfort and style. There are no rental car or taxi fees and no need to worry about parking. You'll go from the terminal to relaxing in your room in no time. And when your stay is complete, take the airport shuttle back. Located in downtown Boise and minutes from hundreds of trails, Red Lion Hotel Boise Downtowner is the perfect place to start your tour of Boise on one of our complimentary bicycles. Take the Boise Greenbelt to see all that Boise has to offer or simply peddle three blocks to the Boise River Park and enjoy SUP paddle boarding or watch kayakers practice their technique. If an urban spin is more your speed, our Boise hotel is centrally located to it all - Boise State University, the Egyptian Theater for live concerts or the Basque Block for cultural history. Still not sure which path to take? Go ahead and make your bicycle reservation with our front desk (to ensure availability) and then check out some of our local favorite routes on Boise's Ridge to River Trail System map. Immerse yourself in the natural beauty of Idaho, where mountainscapes meet breathtaking gardens, allowing you a great opportunity to sneak in a workout. 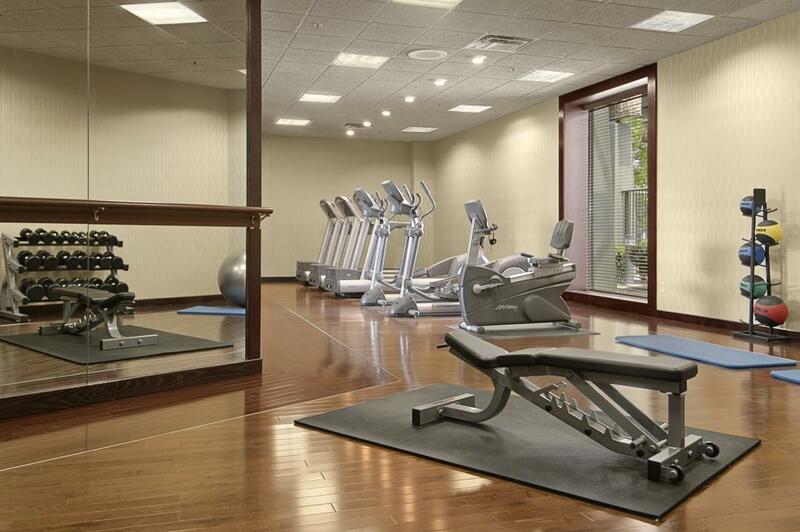 A spectacular destination for your fitness pursuits, Red Lion Boise is a premier choice among Downtown Boise hotels thanks to our fitness center. Featuring state-of-the-art equipment in an idyllic setting, you'll enjoy the use of our cardio, aerobic and weight training equipment in our hotel fitness center. Rather spend your workout outdoors? Enjoy a refreshing swim in our outdoor swimming pool or relax your muscles in our hot tub. Our state-of-the-art on-site fitness center features cardiovascular, aerobic, and weight training equipment for a total body workout. Our fitness center features treadmills, ellipticals, steppers, bicycles, and a weight training circuit that enhance your health and fitness and promote a positive lifestyle. Around our Boise hotel, you'll discover beautiful parks, gardens, green spaces, playgrounds, trails, lakes, and streams for sports and recreational activities. Families will enjoy hiking, biking, jogging, softball, baseball, tennis, basketball, soccer, fishing, and viewing wildlife just steps away. Explore Ada County's magnificent Greenbelt stretching across the city, lined with beautiful parks, downtown scenery, and the Boise River. Enjoy swimming, kayaking, fishing, and more. Red Lion Hotel Boise Downtowners boasts two of the most delicious and fun hotel restaurants in Boise, Idaho -Coffee Garden and Characters Sports Bar. Coffee Garden serves some of tastiest casual food in Boise, including our signature breakfast. If you're looking for 24-hour food in Boise, try Café2Go, located within our hotel. Open 24/7, Café2Go is stocked with a variety of foods, snacks, sandwiches, beverages and other healthy selections. For a more fun dining experience, visit Characters Sports Bar. 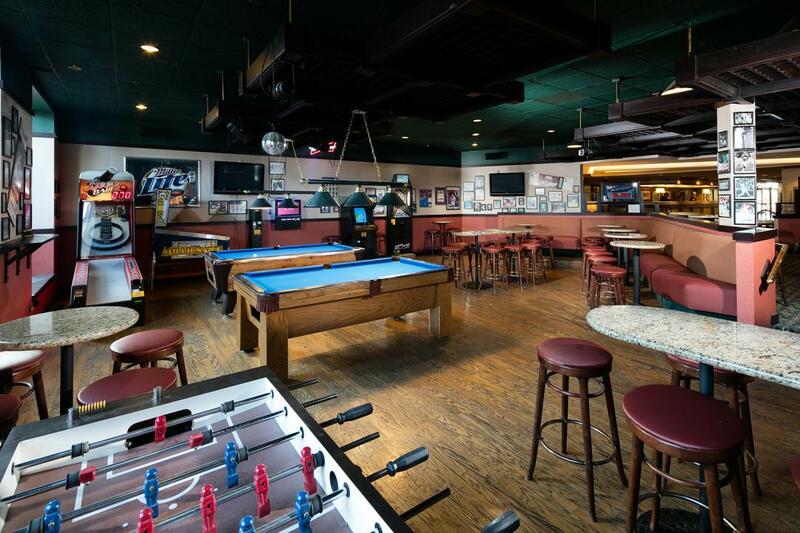 In addition to offering some of the finest selections of beers, wines and spirits among Boise restaurants, Character Sports Bar features fun sports bar games such as pool and darts as well as seven flat-screen televisions, complete with satellite programming. Barbacoa offers a culinary tribute to cowboy culture with fire-grilled steaks, chops, and seafood with tempting sides. Located in the heart of Boise on Basque Block, Bar Gernika serves some of the tastiest fries in town. Dig into their famous Spicy Lamb Grinder as you people-watch from their comfortable sidewalk tables. Visit Cottonwood Grille to enjoy some of the finest game and fish specialties to leave a kitchen. With breathtaking views of the Boise River Greenbelt, Cottonwood Grille features one of most relaxing patios in town. Red Feather Lounge is a modern American lounge, paying homage to the cocktail. Red Feather Lounge boasts some of the top food in Boise. Characters Sports Bar is not your average restaurant in Boise. Located in the Red Lion Hotel Boise Downtowner, Characters Sports Bar offers a premium selection of beer, spirits and wine. Visit this exciting sports bar from the hours of 4:30pm to 1:00am to watch the game on our 8-foot big screen or one of our seven additional televisions –complete with satellite programming. Or just come to play a game of pool or darts with some delicious appetizers. Have classic food and fun during your stay at our Boise, ID hotel. 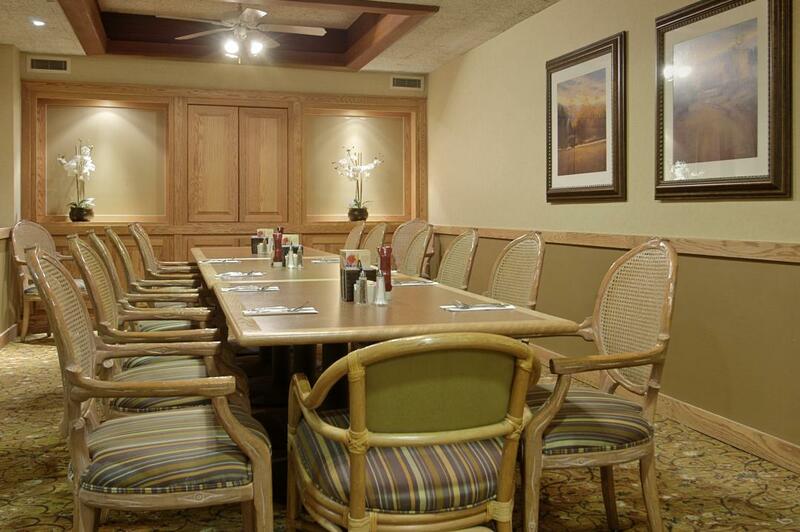 Enjoy a casual dining experience at Coffee Garden – located in the Red Lion Hotel Boise Downtowner. Open daily from 6:00am to 4:00pm, Coffee Garden serves as the home of our signature breakfast buffet and some of the best casual dining in Boise. Wake up with a fresh breakfast while you stay at our Boise hotel. 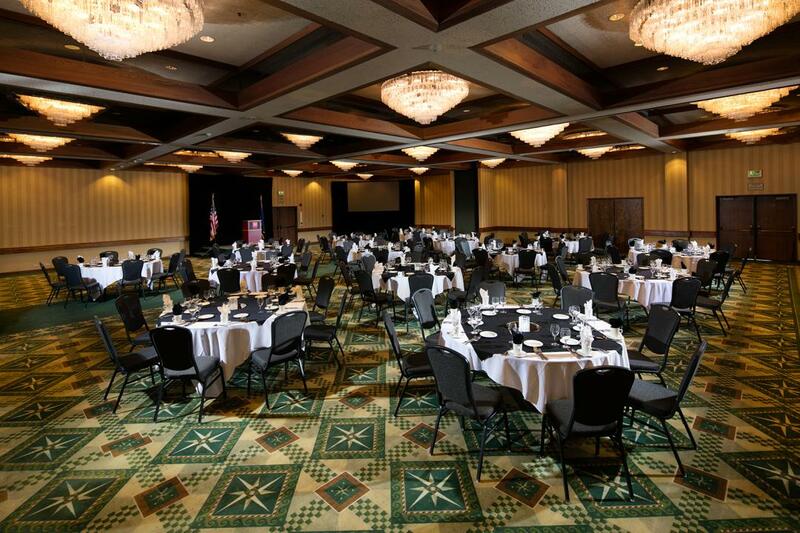 Just minutes away from Boise State University and the Boise Airport, Red Lion Hotel Boise Downtowner features 8,425 square feet of spacious Boise event space that can accommodate up to 250 guests. 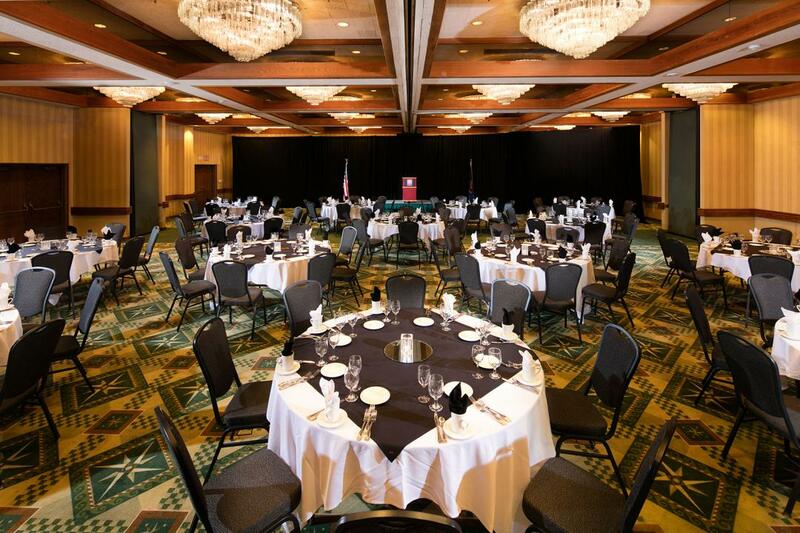 Whether you're planning to host a corporate meeting or a social banquet, consider our professional planners and caterers to coordinate your gathering in one of our Boise event venues. Conveniently located in the heart of Boise, off the I-184, our contemporary hotel blends exceptional on-site Boise meeting venues with exceptional services and amenities to ensure a success event. When you host your event at Red Lion Hotel Boise Downtowner, enjoy full access to impressive audiovisuals, complimentary Wi-Fi, complimentary shuttle transportation, newly renovated accommodations, and 12 sophisticated Boise meeting venues. Red Lion Hotel Boise Downtowner offers premier catering for weddings, meetings and other special events hosted in our event facilities. From intimate luncheons to grand banquets, our professional catering services specializes in serving some of the best food to touch a platter. For additional assistance, please call our Boise event venue at (208) 344-7691 or request a proposal. Relax After the Game. Just a short trip from Boise Airport and Boise State University, Red Lion Hotel Boise Downtowner boasts one of the most convenient locations for accommodating visiting sports teams. To inquire about our relaxing and spacious Boise, Idaho hotel for sports & team travel, please contact us directly at (208)344-7691. From whitewater rafting trips on the Boise Rivers to tours of the Boise State Capitol Building, our travel guide will help you pick out all the fun things to do near our hotel in Boise. Named "One of the Top Ten Places to Live" and the "Jewel of the West," Boise has emerged as one of the most vibrant cities on the West Coast. Built around the Greenbelt, State Capitol Building, and Boise State University, Downtown Boise has also grown into a vibrant and lively dwelling place. As the current heart of Idaho politics and arts, Downtown Boise offers an outstanding assortment of restaurants, museums and shopping areas with public art on display. Check out our travel guide of Boise below to learn more. Basque Block is the hub for Basque cultural sites, introducing an ancient European culture from Northern Spain and Southern France to the heart of the United States. The only Basque museum in the U.S. is also home to the Basque Market and Deli, Bar Gernika, and Leku Ona (meaning "good place"). Visit Basque Block to educate yourself on this fascinating culture and to try some life-changing Basque delights. Experience true Boise outdoor recreation at the Boise River. From Barber Park into the city, float along our lovely river by inner tube, raft, kayak or canoe. Eight Street Marketplace is home to some of the top shops, movie theaters and restaurants in Boise, including The Knitting Factory and the World Sports Humanitarian Hall of Fame - which pays tribute to athletes known for good deeds on and off the field. Idaho Candy Company is a century-old candy factory, offering sweet tooth remedies at their Owyhee Butter Toffee, Old Faithful, Prairie Schooner, and Cherry Cocktail candy bars. 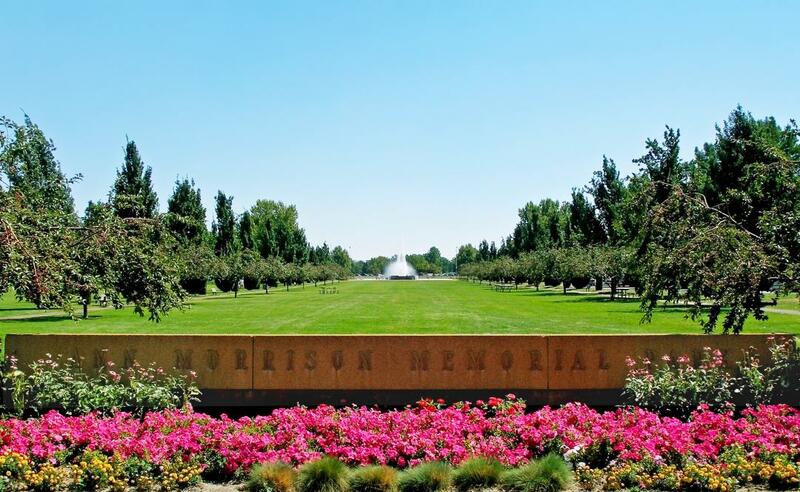 Located near Downtown Boise, Julia Davis Park features the Boise Art Museum, Idaho State Historical Museum, Black History Museum, and Discovery Center as well as a playground and picnic area. One of the largest water parks in the Northwest, Roaring Springs boasts a wave pool, two family raft rides, floating river, tube slides, kiddie play area, and more. Surprise the family with Roaring Springs passes for a day of exhausting fun. Browse our Boise travel guide to learn from insiders what to see and do in the vibrant BoDo area. While Boise is definitely a big city, we are known for our small-town vibe, making it easy to explore on foot or bike at any time of day or night. The Boise lifestyle is relaxed yet lively, locals are laid-back but inspiring, and myriad talents can be found throughout amongst our artists, designers, chefs, performers, book and music sellers and other merchants on display every day. You'll enjoy our easy access to the best things to do in Boise, much of it just a short walk away. Surrounding the Greenbelt, Idaho State Capitol Building and Boise State University are attractions such as museums and performing arts centers to eclectic shopping and incredible restaurants and bars. Just a few blocks from the hotel, guests will find a safe and pedestrian-friendly downtown district with must-see items like the Basque Block, Eighth Street Restaurant Row, the Saturday Farmers Market, and the Grove Plaza Fountain. Downtown's Julia Davis Park is also home to some of the city's top museums and Zoo Boise. Further information is available from the Downtown Boise Association (208) 385-7300. Red Lion Hotel Boise Downtowner is the only full-service establishment among hotels in Boise - making us the premier choice amid hotels near Boise State University. For the families, staff and alumni of BSU, Red Lion Boise Downtowner serves as the ideal location for parents' weekends, sporting events and alumni reunion. Our reasonable rates, friendly service, and comfortable accommodations are some of the best amidst other Boise hotels. In addition, we offer some of the most convenient amenities around, including our breakfast, complimentary Wi-Fi, complimentary airport transportation, two on-site restaurants, a fully-equipped fitness center, an outdoor heated pool, and 8,425 square feet of meeting facilities. Contact our hotel to inquire about special BSU rates or packages. It may not be Manhattan, but Boise has a Broadway presence of its own. With its own regular stage series, our city features a host of award-winning shows straight from New York. Hosted by Boise State University, the series will move into spring 2016 with such choices as The Illusionists, The Producers, and Joseph & the Technicolor Dreamcoat. Visit Boise State's website to see the full schedule of shows coming up in the new year. February 9 • 7:30 p.m.
February 10 • 7:30 p.m.
February 11 • 7:30 p.m. The best-selling magic show in Broadway history, The Illusionists features astonishing acts that go far beyond simple tricks. March 1 • 7:30 p.m.
March 2 • 7:30 p.m.
March 3 • 7:30 p.m.
A comedy classic like none other, Mel Brooks' masterpiece has been seen on the screen and stage, and is now returning to the stages of Broadway in Boise. April 15 • 8:00 p.m. The oeuvre of the most famous band in the world gets a multi-media journey in this expanded edition of what has already become a classic. May 3 • 7:30 p.m.
May 4 • 7:30 p.m.
May 5 • 7:30 p.m. In a brand new new production, the timeless staging of Joseph's story gets a magical update, perfect for first-time viewers and lovers of past runs alike. A visit to the state capital of Idaho offers many opportunities for exploration and excitement, whether you are traveling solo, with kids or in a group. 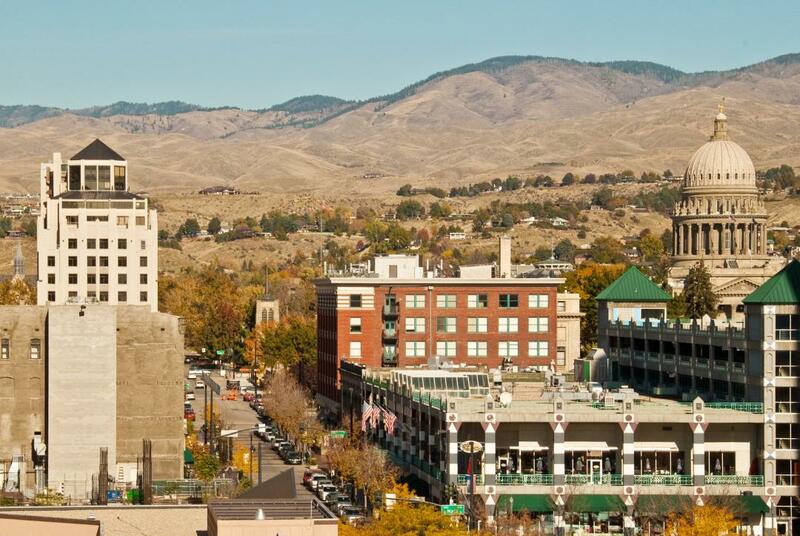 Just minutes from the Expo Idaho Convention Center, the Red Lion Hotel Boise Downtowner is within close proximity of must-see attractions, activities, and ongoing events in Boise, Idaho. Browse some of our favorites below in our convenient Boise calendar. There are many family activities to enjoy during your next stay at our hotel in Boise. From sweet candy shops to education museums, these Boise family activities will provide plenty of fun. Since 1901, this candy factory has offered sweet tooth remedies like Owyhee Butter Toffee, Old Faithful, Prairie Schooner, and Cherry Cocktail candy bars. Enjoy candy sprinkled with sweet nostalgia. Try their famous Idaho Spud bar. The Boise Zoo is an excellent place for children to learn about animals, the environment, and conservation. The zoo's menagerie includes sloths, butterflies, and giraffes. Kids will love getting up close and personal with the creatures they love. The zoo also hosts birthday parties for children as well. Roaring Springs is a thrilling water park with attractions for kids for all ages. Their new attractions include Cliffhanger, where you drop through a trap door for a heart-pounding, nearly vertical plunge. Six stories up, four seconds down! Also new is Corkscrew Cavern, the first 360-degree looping water slide in the entire Northwest. The Discovery Center of Idaho helps kids foster a love of engineering, math, and science. Upcoming exhibitions include Fizzyology, the science behind bubbles, and Launch It!, a scientific celebration of propulsion, featuring Air Cannons, Air Brake Chairs, Tennis Ball Launchers, and much more. With diverse, educational exhibits, kids will love The Discovery Center. 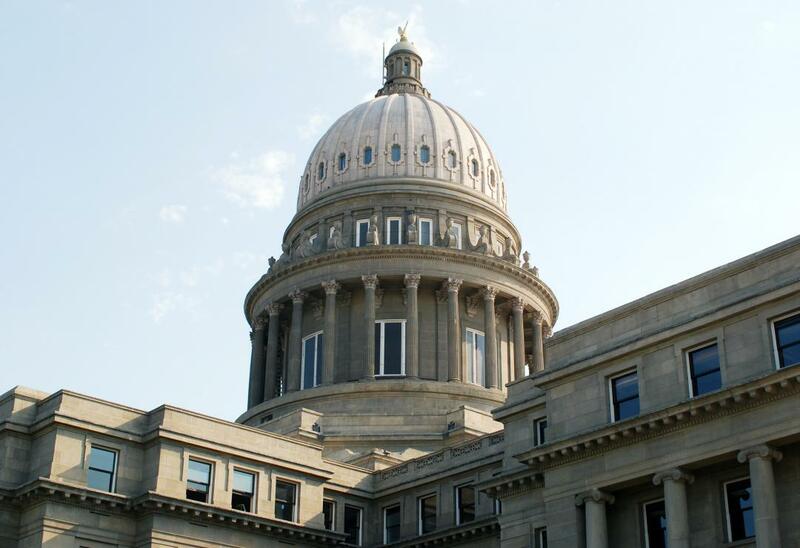 Plan government travel to Boise with Red Lion Hotel Boise Downtowner, conveniently located within easy access of state and federal government buildings. Offering unmatched convenience for travelers in town on state or federal business, our hotel near Boise's capitol building features full-service hotel features and personalized attention with a complimentary airport shuttle, free parking and free Wi-Fi. Need to plan meetings? Use our 8,000 square feet of meeting and event space, complete with catering and the best in AV equipment.